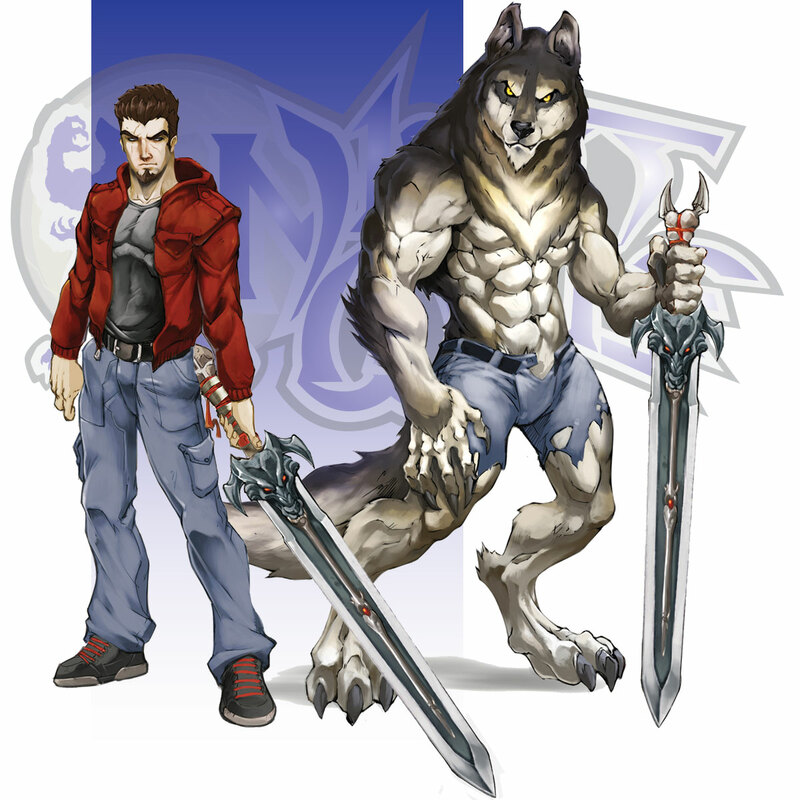 Height: Human - 6' 0", Lycanthrope - 6' 5"
Weight: Human - 185 lbs., Lycanthrope - 300 lbs. Rodney Marcelli is a high school senior who had everything, a wealthy family, popularity, a beautiful girlfriend, and a full ride scholarship for football to Keystone State University, until the night of his 18th birthday. Rod learns that he is a lycanthrope born into the outcast Monoki breed. Unlike other members of the breed he is neither a benevolent Purebred nor a malicious Mongrel, but something in between. Now caught in a war between good and evil in a time where morality isn't as clear as black and white, Rod struggles to keep his soul from the conflict within.